Ayse Akyol is currently working as a Professor of Marketing in the Department of Business Administration, Faculty of Economics and Administrative Sciences, at Trakya University, Turkey. She received BA degree in Business from Dokuz Eylul University, Turkey (1990); MA degree in Human Resources Management from Istanbul University, Turkey (1996); MSc degree in Research and Consultancy and a Ph.D. degree in Marketing both from the University of Portsmouth, UK (2000). She also worked as a post-doctoral researcher at the University of South Florida, USA (2005). Her research interests are international marketing, marketing research, and contemporary issues in marketing. Prior to working at the University, Dr. Akyol worked as Market Representative at May Departments Stores Int. between 1991 - 1993. She was responsible for attending the meetings in the USA, getting the orders from the buyers, and follow up all the process from production to the shipment of the goods. After that, she started working at the University as a Research Assistant and worked at the same University since then. During these years, she lived in the UK (to study MSc and Ph.D.) and USA (for Post Doctoral Research). Between 2006 - 2008, she taught undergraduate and post-graduate courses at Lefke European University, North Cyprus as a flying lecturer. 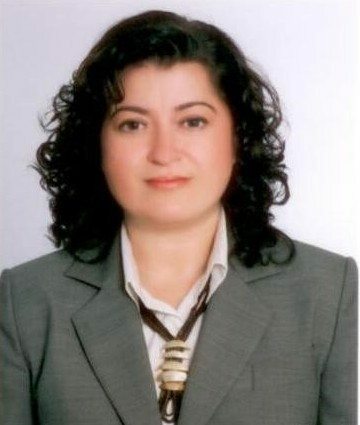 She worked in North Cyprus as a Dean for Faculty of Economics and Administrative Sciences in 2009 and as a Vice Rector (Academic Affairs) in 2010. After completing her duties, she returned to Trakya University. Dr. Akyol's Ph.D. was funded by YOK (Higher Education Council of Turkey). She is currently working as a Visiting Scholar at Georgia State University on a research project funded by TUBITAK (The Scientific and Technological Research Council of Turkey, The Department of Science Fellowships and Grant Programmes). Paloma is a third year doctoral student from the Pontifical Catholic University of Brazil, in the state of Rio Grande do Sul. She has a Master's Degree in Strategic Marketing by the same institution and post-graduated in International Relations by the Superior School of Marketing and Advertising (ESPM). Her academic research has been founded by the Research Support Foundation of Rio Grande do Sul (FAPERGS) and the Coordination for the Improvement of Higher Level Education (CAPES). She has over ten years of professional experience in international trade, acting both as trade analyst from manufacturing companies in Brazil as well as foreign consultant for internationalizing SMEs. She has developed market analysis, business partner searches and consultancy projects for Canadia, Swiss and Brazilian companies, among others. Currently, she is a partner at ARC International Business Consultancy. Paloma is a member of the European International Business Academy (EIBA) and Academy of Management (AOM). Her research interests are International Business, International Marketing, absorptive capacity, small and medium enterprises and emerging markets. Vassiliki (Vicky) Bamiatzi has been a Research Associate at GSU-CIBER since 2012. Vicky's home institution is University of Liverpool Management School, UK where she serves as an Associate Professor. Previously, she was an Assistant Professor of Entrepreneurship and Strategy at the Leeds University Business School, United Kingdom. Her research spans a range of topics in business research and management, with a focus on Small Business Management and Strategy, Networking, Leadership, and International Entrepreneurship. Her research has been published in top-tier international scholarly journals and presented at international conferences. Currently, Vicky is working with GSU-CIBER on several research projects in the fields of strategic management and international entrepreneurship, with a special focus on Emerging Markets. Prior to joining Leeds University Business School, Vicky worked for a year as a Post-doctoral Research Fellow in International Business at Manchester Business School, U.K. Additionally, Vicky holds a six-year experience as a Business Analyst and Regional Development Consultant in Greece. She specialized in designing, planning, executing and monitoring investment and turnaround management projects for several small and medium-sized private companies and public organizations. Most of these projects achieved financial support by the European Union through the Third and Fifth Framework Programs (FP3 & FP5). Vicky holds a BSc in Business Administration and an MBA in Decision Sciences both from Athens University of Economics and Business, Greece, and a Ph.D. in Management Studies from Manchester Business School, UK. Her Ph.D. titled "Defying the Industry Trend: Factors for Countering the Negative Impacts of Operating in Declining Industries" was published in 2013 by Scholar's Press. 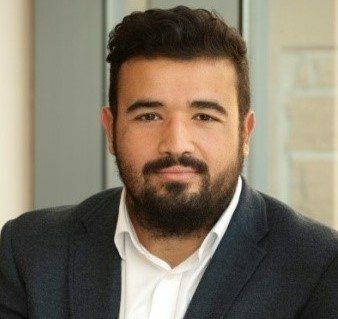 Dr. Konstantinos Bozos, a Research Associate at GSU-CIBER since 2012, Kostas serves as an Assistant Professor of Accounting & Finance and the director of all graduate Accounting & Finance Programs at the Leeds University Business School (LUBS), UK. He holds a BSc in Banking and Financial Management, an MBA in Financial Engineering and a Ph.D. in Business and Economic Studies. Prior to joining the University of Leeds, he worked as a financial analyst and management consultant, specializing in budgeting and financial control, turnaround management and mergers and acquisitions. He has also worked as equities trader and investment adviser for multinational asset managers and has done freelance consultancy for services firms in the broader financial sector across Europe (UK, Greece, Cyprus). His research spans a range of topics in international accounting and finance, with a focus on Capital Investment Decisions, M&As, International Finance, and Financial Forecasting. His research has been published in international peer-reviewed journals, and presented at numerous international conferences. His current work with CIBER involves the examination of the idiosyncratic and systematic components of firm performance across developed and emerging markets during periods of economic munificence and hostility, the determinants of M&A activity and performance in international financial markets, and cross-border investment decisions. His research employs a range of empirical methodologies and is targeting at top-tier international journals. 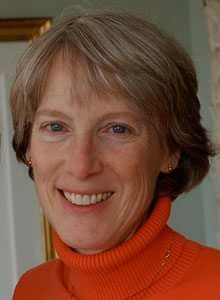 Elizabeth K. Briody is a cultural anthropologist who has been engaged in cultural change efforts for more than 25 years. 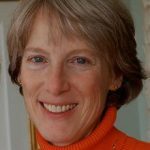 She is recognized as one of the world’s leading experts on the culture of work and organizations with numerous publications, a patent, innovative tools, and awards. Much of her work experience is based on her research at General Motors R&D, where she was a technical fellow. There she consulted for diverse organizations and senior executives and conducted field research in manufacturing facilities, offices, and homes around the world. Elizabeth organized, directed and facilitated problem-solving sessions on many topics including organizational change, creating a “hybrid” organizational culture, and knowledge and technology transfer. She also led the development of a computer game designed to improve collaboration skills in the workplace. Elizabeth is the founder of Cultural Keys LLC, a consulting firm specializing in improving organizational effectiveness, and understanding and reaching customers. Recent field projects have involved rebuilding trust following the downsizing of a medical group, discovering shortfalls in employee and customer images of a world leader in intimate apparel, communicating the value of a non-profit senior community to prospective residents, and helping a leading international hotel chain remake its “traditional” brand. Her latest publications include The Cultural Dimension of Global Business (with G. Ferraro – 2012, Prentice Hall), Transforming Culture (with R.T. Trotter II and T.L. Meerwarth – 2010, Palgrave) and Partnering for Organizational Performance (with R.T. Trotter, II – 2008, Rowman and Littlefield). Elizabeth holds M.A. and Ph.D. degrees in anthropology from The University of Texas at Austin. Her undergraduate work was at Wheaton College in Norton, Massachusetts, and Lycée Baudelaire in Roubaix, France. She is the former president of the National Association for the Practice of Anthropology, a section of the American Anthropological Association. She is also adjunct professor at the Eli Broad Graduate School of Management at Michigan State University, the Departments of Anthropology at Northern Arizona University and Wayne State University, and the Department of Psychology at Central Michigan University. Maria Luiza C.A. Pinho has been a Research Associate for NUPIN – Center for International Business Research at Pontifical Catholic University of Rio de Janeiro since 2013. Previously, she was an assistant professor of different disciplines in Marketing and Research Methods at the Business, Accounting and Communication’s department at IBMEC-RJ, where she mentored several undergraduate students with their final dissertation. Her research spans a range of topics in business and research methods with a special focus on small business enterprises and international entrepreneurship in emerging markets. Previously, she worked for the Brazilian Trade and Investment Promotion Agency where she worked at the Qualification Export Program supporting SMEs to organize their export activities. The agency organizes several initiatives aiming to promote Brazilian exports abroad. Additionally, Maria Luiza brings with her fifteen years experience as an executive for a French multinational company where she occupied several positions at the training, communication, marketing and sales departments, either nationally or internationally leading teams and the development and implementation of innovative products, services and process worldwide. Maria Luiza received her Bachelor in Psychology. Additionally, she holds an MsC in Business Administration from the Graduate Business School of the Federal University of Rio de Janeiro where she went on an exchange program with NEOMA Business School (ESC-Rouen). She is a PhD Candidate in International Business at Pontifical Catholic University of Rio de Janeiro. In 2014, she received the “Best paper” award at the ESPM Conference/Symposium with the paper “Bromélia Filminhos and the International Adventures of Lottie Dottie Chicken”, which was later published. She has been a productive academic with book chapters, case studies and papers published nationally and internationally. She is member of the Academy of Management and the Academy of International Business (AIB), where she supported the organization of a panel at the AIB-LAT Conference in 2016. Simos Chari is a Lecturer in Marketing at Leeds University Business School (LUBS). He holds a BSc in Economics Science (Business Administration direction) from the Aristotle University of Thessalonica, Greece. Simos also holds an MSc in International Marketing Management and a Ph.D. in Strategic Marketing from LUBS, UK. Prior to his current position, Simos has worked in industry for several years as Marketing Executive in services and Procurement Buyer in the retailing sector. Simos's primary research interests revolve around strategy as process (i.e., strategy formulation/formation and managerial decision making) and strategy as practice (i.e., strategy realization, strategic change, and renewal). His research, on these and other topics, has appeared in academic journals such as: Journal of World Business, Journal of Business Ethics, British Journal of Management, Journal of Business Research, Journal of Social Marketing, and Psychology & Marketing. His work is regularly presented at leading academic conferences across the world. Simos currently teaches courses on marketing management, global strategic marketing, and multivariate methods of analysis to postgraduate, MBA, and doctoral programs. 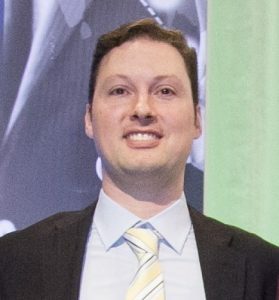 Gabriel Vouga Chueke is the founder and coordinator of the Brazilian Multinationals Observatory sponsored by ESPM, a research center engaged in generating and disseminating knowledge about Brazilian FDI worldwide. Gabriel holds a Master in International Management by ESPM (Brazil) and will receive his Ph.D. in business from the University of Sao Paulo (Brazil). Gabriel was an MBA exchange student at the University of Chicago, and he is a Global Mindset Facilitator through the Thunderbird School of Global Management. Gabriel is a member of the Academy of International Business (AIB) and the European International Business Academy (EIBA). His research interests include emerging market multinationals, host-country institutional environment and entry mode strategy. He was assistant-editor of the Review of International Business published by ESPM, and he is a professor in the same school. Gabriel developed consultant projects for the Brazilian government, the Switzerland Chamber of Commerce in Brazil and others. Professor & Dr. Hüseyin Erkul studied “Comparison of Turkey Local Governments and George State Local Governments regarding Local Public Services” as a visiting scholar at the Center for International Business Education and Research (CIBER) at George State University (GSU). For this research, Dr. Erkul observed and examined local governments (metropolitan management, county management, municipality management, school districts, and special districts) in Atlanta, Georgia, USA. Dr. Erkul graduated from Isparta Education Institute from the Physics, Chemistry and Biology Department in 1979. Afterward, he received an MSc degree in the Public Administration Programme of Turkey and Middle East Public Administration Institute in 1992. Afterward, he graduated from the program of Education Management and Control Department of Education Faculty at Gazi University in 1994. He finished his Ph.D. degree at the Public Administration Department of the Social Sciences Institute at İnonü University in 1998. Dr. Erkul became an associate professor in the field of Local Government Urban and Environment Policy in 2008. He has been a Professor of Local Governments since 2013. Dr. Erkul worked as a high school teacher, a boarding school district principal, county national education manager, primary inspector of education, and deputy chairman of the board of inspectors. He worked as faculty member and head of the Department of Management Sciences in the Department of Public Administration of Faculty of Economic and Administrative at Mustafa Kemal University from 1998 to 2001, and from 2001 to 2010 he worked as faculty member and deputy director of the Institute of Social Sciences, a faculty member in the Department of Public Administration, the head of the Department of Law Sciences, and the Deputy Dean of Faculty of Economic and Administrative at İnönü University. 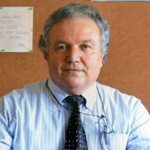 He has worked as a faculty member and head of the Department of Management and Organization in Çanakkale Vocational College of Social Sciences and Gökçeada (Imbros) College Manager of Vocational College at Çanakkale Onsekiz Mart University (ÇOMÜ) since 2010. Simone Guercini was born in Tuscany, Italy and currently resides in the city of Florence. Simone attended Sant'Anna School of Pisa (Italy) and the University of Sussex (England). He completed a Ph.D. in Competitive strategies and international marketing. His field of interest includes international business marketing and business actors' behavior and cognition. Simone has also conducted empirical research on the textile and fashion industry. Recently, he visited a researcher at Max Planck for Human development in Berlin, where he studied the heuristics rules learned and shared by actors in contexts in the research group of Gerd Gigerenzer. Simone is currently a professor in Marketing and Management at the University of Florence. He also holds the position of Dean of the BA course in Management and is a member of the Doctorate in Economics. During his career, Simone was awarded grants from public and private institutions. He has also won numerous awards for best papers and outstanding reviewer in journals. Due to his outstanding accomplishments, Simone serves on the editorial board of numerous journals such as Management Decision, Journal of Fashion Marketing and Management, and Journal of Global Fashion Marketing. Simone also serves as co-editor of Mercati & Competitivita , the official journal of the Italian Marketing Society. His main goal for his trip to GSU– CIBER is to continue his research on the internationalization process of firms, with a main focus in emerging economies and ethnic entrepreneurship. Simone has many expectations for this trip. He hopes to collaborate with professors and research professionals of the Georgia State University on a topic related to his research interests. Dr. Ruey-Jer "Bryan" Jean is an International Business Associate Professor at the National Chengchi University in Taiwan. He received his Ph.D. in Business Administration from Manchester Business School, The University of Manchester, UK (2008), where he also worked as a postdoctoral research faculty. His research interests lie at the intersection of International Business and International Marketing. To be more specific, Dr. Jean's research focuses on inter-organizational relationship management, with a particular focus on online, International Business contexts, and emerging markets, such as China. Dr. Jean's work has appeared in numerous International Business and International Marketing journals such as the Journal of International Business Studies, Journal of International Marketing, International Marketing Review, Management International Review, International Business Review, Journal of Business Research, Decision Sciences Journal, Journal of Product Innovation Management, and other journals. His papers have had a focus on IT and its effect on communication, the need for innovation, and the improvement in performance. Dr. Jean is visiting Atlanta, through September 2015, working together with GSU-CIBER in conducting research in his area of interest. When asked about his professional goals during his stay in Atlanta, Dr. Jean responded, "My goals all have one thing in common - interaction. I would like to interact with the numerous professionals at GSU and CIBER so that I may learn new concepts from them and have a diversified view on my research topic." Dr. Jean emphasized that he is looking forward to meeting many professionals, faculty, and students, as well as attending many seminars held by CIBER. It is through events like these seminars and other resources that Dr. Jean feels confident he will be able to take home valuable information. Dr. Jean also stated that Georgia State University has a great advantage in the numerous resources available. He mentioned that there are many professionals, who are well-educated, informed, and experienced, are sitting right here in the middle of the city. He looks forward to utilizing all resources available to further his research. Besides work and research, Bryan also expressed his love for sports, specifically baseball and basketball. During his stay, he is eager to visit the Atlanta Braves Stadium and watch a game. As his journey at GSU-CIBER has just begun, he is sure he will not leave empty-handed, but rather he has stated that upon his return home, he will follow up with professionals to maintain a close relationship and expand his research, and hopefully return to Atlanta in the future. 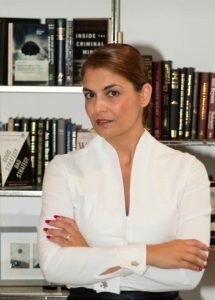 Tugba Kalafatoglu was born in Istanbul, Turkey and currently resides in Barcelona, Spain, where she is a lecturer at TSI - Turismo Sant Ignasi - Ramon Llull University She received her degree in political science with honors from the University of Nebraska at Omaha, her master's degree in international affairs, law and business from Georgetown University and a master of research degree in Management from ESADE Business School in Barcelona, Spain. She is currently a Ph.D. candidate at ESADE Business School, specializing in international entrepreneurship. "I am looking forward to my visiting period at Georgia State University," Tugba says, "and most importantly to have the honor working with Professor Tamer Cavusgil and his team. I will gain great experiences working with them." While here at Georgia State University, she will be researching the internationalization of firms as an entrepreneurial process. 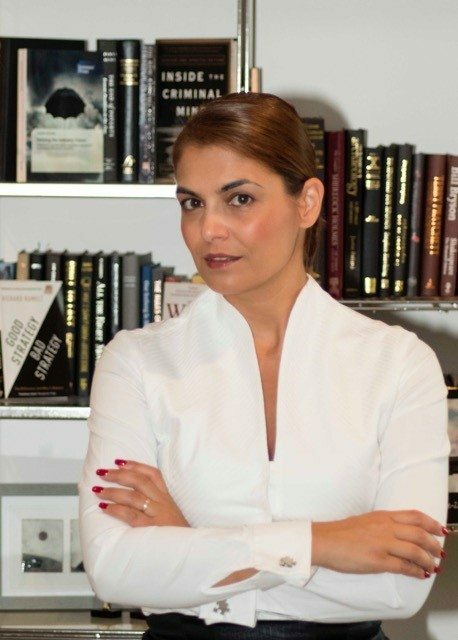 Tugba is an international fellow at United Nations Alliance of Civilizations and the founder and president of VOTE Women in Politics, an international non-governmental organization. She has received numerous awards, including Outstanding Young Person of the World in Politics, Law and Government Affairs, GOLD Pollie Award (Oscar of Political Advertising) and has been acknowledged in the Who's Who in the World for seven consecutive years since 2006. Erica Kovacs, a native of Recife, Brazil, is a visiting scholar at Georgia State University, where she is conducting research on the influence of international agents in the internationalization process and the perception of success and failure for external agents. Erica is a Professor of Strategy and International Business at Universidade Federal Rural de Pernambuco in Recife, Brazil. Erica received her bachelor’s degree in Business at Universidade de Pernambuco, Brazil, her master’s degree in Strategy & Logistics at Universidade Federal de Pernambuco (2004) where she studied the Beverage industry in Brazil, and her Ph.D. in Business from the same institution (2009) where she studied the internationalization process of agribusiness. In 2009, she was awarded “Best Paper” from the Brazilian Strategy Academy, “One of Ten Best Papers” from Universidade de Sao Paulo, and was nominated for numerous other awards. Additionally, she has published in several journals both in Brazil and internationally. She is also involved with the Academy of International Business (AIB), European International Business Academy (EIBA), and the Brazilian Academy of Business where she served as Track Chair (2011-2012). Kovacs mentors alumni at Sebrae in Brazil. Her hobbies are running, swimming, and northern lights hunting. Qiaoqi Lang was born in Taiyuan, Shanxi Province in China and currently resides in Chengdu, Sichuan Province in China. She completed her undergraduate studies at Xi'an University of Architecture and Technology and received her Master's degree in American Culture at Sichuan University. She was a Business Administration PhD candidate at Southwest Jiaotong University, where she currently works as the Foreign Affair Secretary at the School of Economics and Management. During her studies with CIBER, Qiaoqi will be researching the topic of Emerging Middle Class in China and the Corporate Governance under the Milieu of New Media Application. Her goal is to become a competent scholar in Georgia and author several articles while at GSU. Qiaoqi has frequently been recognized for her excellent academic and leadership skills. She has received several awards, including Outstanding Leader, Outstanding Post-Graduate Leader and Excellent Individual of Post-Graduate. She is also the recipient of the Excellent Academic Scholarship of Sichuan University. Mateus Ponchio, a native of Brazil, is a visiting scholar at Georgia State University, where he is conducting research on consumer behavior. Since 2008, Mateus has been working at Escola Superior de Propaganda e Marketing in Sao Paulo as a Professor of Consumer Behavior for the postgraduate program in business. In addition, he serves as scientific editor for Revista de Administracao de Empresas (RAE). Mateus earned his bachelor’s degree in Business from the Getulio Vargas Foundation in Sao Paulo, Brazil (2002). He received his Ph.D. degree in Marketing from the same institution in 2006. In that year, he was a visiting scholar at the University of Otago in Dunedin, New Zealand. His research interests are: consumer values, consumer vulnerability and cross-cultural issues, and his research articles have been published in journals such as the Journal of Consumer Behavior, Review of Business Management, Brazilian Marketing Journal, and Journal of Information Systems and Technology Management. In 2007, he was awarded a distinction for the Best Doctoral Thesis Award from CAPES (Coordination for the Improvement of Higher Education Personnel, a Brazilian Government Agency); because of this prize, the Piracicaba City Hall awarded him the title of Honor Citizen. He is an active member of the European Marketing Academy and the Brazilian ANPAD Association for research. He has supervised eight masters students and currently supervises three masters and two doctorate students. His hobbies are chess and table tennis. Shawn Powers is an Assistant Professor at Georgia State University and an Associate Director of the Center for International Media Education. Dr. Powers has previously served as a research fellow at the London School of Economics and Political Science, Oxford University's Program in Comparative Media and Law and at the University of Pennsylvania's Center for Global Communication Studies. He received his Ph.D. from USC's Annenberg School for Communication and Journalism and specializes in the geopolitics of information and information technologies. Shawn's research interests include mass media and society, new and social media technologies, diasporic communities, globalization and traditional and public diplomacy. He has conducted field research in Asia, the Middle East, North Africa, Eastern and Western Europe and North America. Andrea Runfola is a Visiting Scholar and a research partner at GSU-CIBER since 2014. Currently, Andrea serves as Associate Professor of Marketing and Management at the University of Perugia (Italy). Prior to his current position, he was Assistant Professor at the University of Perugia. Andrea graduated in Economics and Management from the University of Florence. He then continued to pursue his Ph.D. in Marketing at the University of Urbino. Prior to joining University of Perugia, Andrea was a Research Fellow at the University of Florence (Italy). His research interests include international business, international marketing, business networks and relationship marketing, cross-cultural marketing, business models, with a focus, although not exclusive, on the fashion industry. Andrea presented the results of his research in leading international conferences and he published his works in leading peer-reviewed, international journals. He actively participates in national and international academic communities and served as Co-Chair for 2017 annual conference of the Consortium for International Marketing Research (CIMaR) held in Florence, Italy. Andrea continues his research on emerging trends in the international marketing of fashion companies at GSU-CIBER where he works on various research projects. Viviane Salazar was born in Sao Paulo, Brazil and currently lives in Recife,Brazil. She is a visiting scholar at Georgia State University, where she is conducting research on internationalization of “tree to bar” Brazilian chocolate. 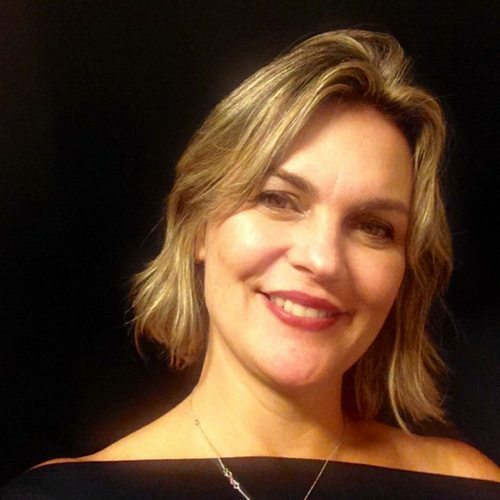 Viviane is a Professor of Strategy and Hospitality at Universidade Federal de Pernambuco in Recife, Brazil. Viviane received her bachelor’s degree in Hospitality at Universidade Federal de Pernambuco, Brazil, her master’s degree in Consumer Behavior at Universidade Federal de Pernambuco (2006) where she studied the fine restaurant industry in Brazil, and her Ph.D. in Business from the same institution (2015) where she studied the high cuisine in Latin America. Additionally, she has published in several journals in Brazil. She loves traveling and getting to know other cultures. Her hobbies are going to to the movies, gym and of course going out to eat. Francesca Sanguineti is a second-year doctoral student from the University of Pavia, Italy. Her undergraduate degree is from the University of Genova (Italy) in “Economics of Banking, the Stock Exchange, and Insurance” and she then accomplished her master’s degree in “International Business and Economics” at the University of Pavia. After having occupied managerial roles in the retail fashion industry, she decided to pursue a career in research and academia and began her PhD studies in Applied Economics and Management. Her research interest fields are International Business and International Marketing, with a particular focus on export and family business. She is currently spending a semester at Georgia State University in CIBER, where she has the opportunity to participate to doctoral seminars and workshops, develop her dissertation thesis on export, and learn from renowned international scholars. She loves traveling and getting to know other cultures. Her open mind and optimistic personality help her to immerse and get the best out of every situation. Dr. Jing Song, who recently served as a visiting scholar at GSU-CIBER, is now a research associate with the center. Jing's home institution is Southwest Jiaotong University, Chengdu, China, where she is an assistant professor of marketing at School of Economics and Management. Jing received her Ph.D. degree in Marketing from Peking University in 2011. Her current research interests include marketing strategy, service marketing, business to business marketing, and middle class consumers in emerging markets. 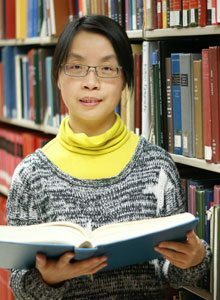 Her academic works have been published in both international and Chinese academic journals. She and a co-author are the Journal of Business-to-Business Marketing's "2011 Best Paper Award" winners. Dr. Jing Song is currently working with GSU-CIBER on a research project focusing on the middle class phenomenon in Emerging Markets. Her work on Chinese consumers also appears in GlobalAtlanta. Linjie Yang is an associate professor of Shandong University of Arts with a teaching experience of over 20 years. She received her master’s degree in Shandong Normal University. 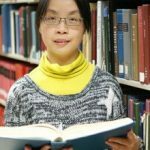 She has been rewarded Individual Excellence Awards every year since 2011 in recognition to her competence and dedication to work and dozens of academic works have been published in Chinese academic journals. Now she is a one-year visiting scholar with great honor to be guided by Dr. Tamer Cavusgil. The goal of her research is to make a comprehensive survey of the intercultural nonverbal communication strategies in advertising of global brands on the basis of lots of achievements of modern linguistics, psychology and sociology. And get a brief account of the use of nonverbal communication in advertising targeted for different cultures.